The 2017 Red Light Jazz Festival is centered around the guitar. 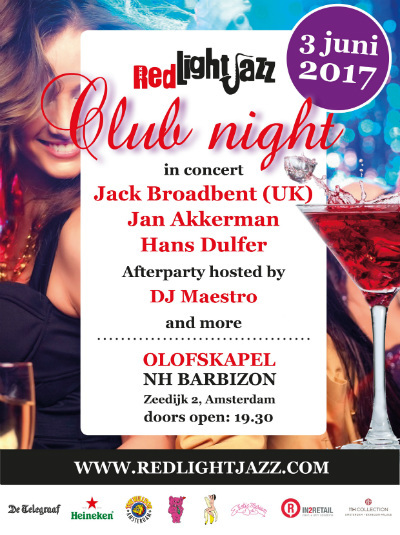 On Saturday 3 June you will be treated to high-end jazz entertainment featuring world famous Dutch jazz guitar maestro Jan Akkerman, the young rising U.K. slideguitar star Jack Broadbent, guitar hero Jerôme Hol, as a member of jazz icon Hans Dulfer's band. The evening will be tight together and finished off by our own internationally acclaimed DJ Maestro.